PESHAWAR -- Prime Minister Imran Khan has honoured a polio worker and his team after a video showed him trudging through deep snow to vaccinate children in Swat District, Khyber Pakhtunkhwa (KP). Khan invited Irfanullah, the 23-year-old polio worker and Swat District native seen in the video, and his vaccination team to the prime minister's official residence January 30. "Irfan is one of 260,000 heroes who reach out to children with polio vaccines in extreme weather conditions," Khan tweeted that day. He posted a picture of himself and Irfanullah, adding that the video "has left every individual with a sense of awe & pride. This dedication is what will enable us to achieve our goal of a polio free nation." The polio workers, whom social media users hailed as "unsung heroes", received a standing ovation during a January 31 meeting of the National Polio Management Team in Islamabad. "What I did was part of my job," Irfanullah told Pakistan Forward. "It is my duty to cover each and every child of my area in administering the polio vaccine, and for this purpose, I have to face all kind of challenges," he said, adding that he never imagined the attention and appreciation his team has received. "Our mission is to protect every child of the country from this debilitating disease, and for this purpose, we will continue our effort until we accomplish our goal," Irfanullah said. The positive response and commendation from the public have instilled in him a new spirit of dedication and determination, he said. "I and all my colleagues are elated that our efforts are being valued by the world," he told The Express Tribune. "We hope this will boost Pakistan's efforts to eradicate polio. 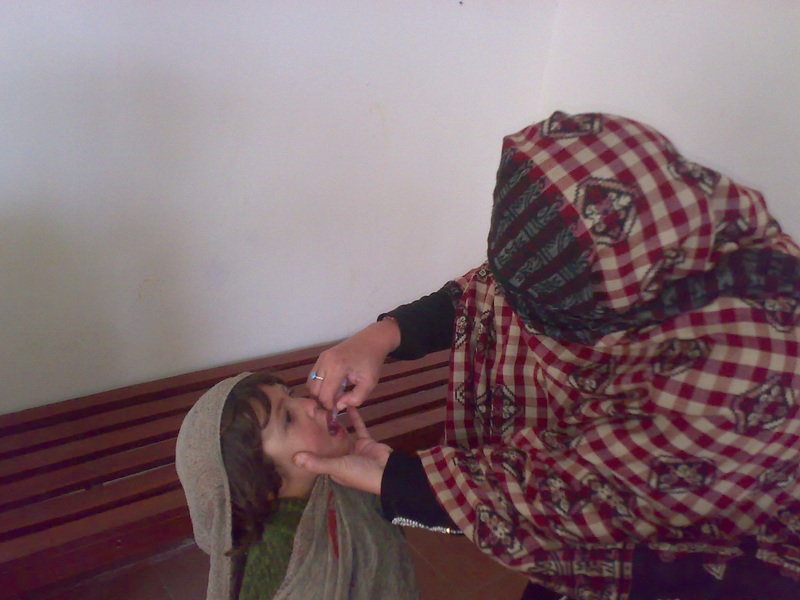 It is our desire to see the end of polio not just in Pakistan, but the entire world." 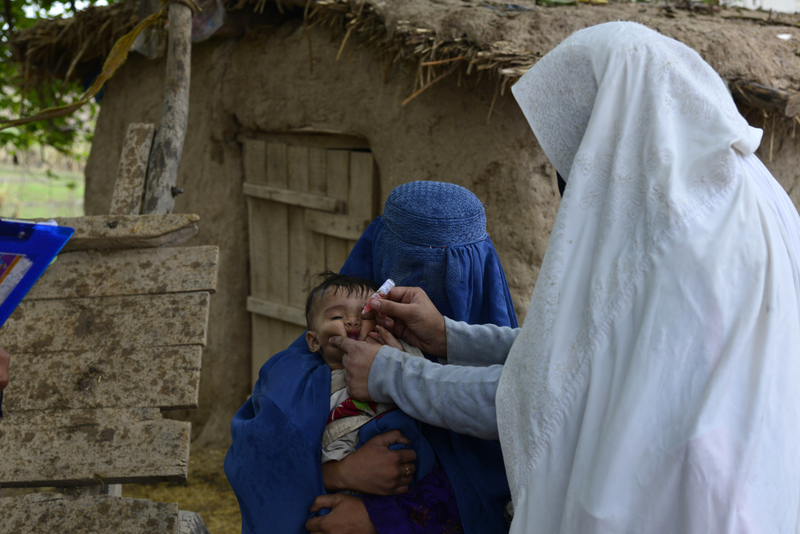 Pakistan, Afghanistan and Nigeria are the only three countries where the polio virus remains endemic. However, co-ordinated efforts by health team workers have made phenomenal gains in eradicating the disease and reducing the occurrence of cases in the region. "In 2014, the number of polio cases in Pakistan was 306, while in 2018, 12 cases were reported in the country," Dr. Muhammad Johar, a team leader with the United Nations Children's Emergency Fund (UNICEF), told Pakistan Forward. Of the 12 cases, six were reported in the former Federally Administered Tribal Areas (FATA), two in KP, one in Karachi and three in Balochistan, according to Johar. "Pakistan is on the verge of exterminating polio from its soil, and because of the dedication and spirit being exhibited by our team workers, soon the country will be completely free from this disease," he said. "Our polio workers are unstoppable and their hard work will make InshaAllah realise a Polio Free Pakistan," Babar Bin Atta, the prime minister's focal person on polio eradication, tweeted January 30. "Nothing can stand between them & their dedication to protect Pakistan’s children from disease," he said in the same tweet, referring to the vaccinators. "The acknowledgement and recognition of the hard work being done by our team members are aimed at encouraging the frontline workers in our war against polio," said Dr. Imtiaz Ali Shah, technical focal person for polio eradication in KP. "The frontline workers are the main driving force in the fight against polio, and they play the main role in the prevention and eradication of this crippling disease," Shah told Pakistan Forward. "We have great regard for the dedication and hard work of our team workers, and the same spirit is exhibited by the prime minister of Pakistan," he said. "Khan's gesture has encouraged not only the specific polio vaccinators he honoured but all the teams contributing to the eradication of the disease," he said.